"Brian Blain has opened my shows on at least two tours, I had to shut him down after the last one because he was starting to make me work too hard to win the audience back......I just can't have someone stealing my crowd......no way! Seriously, the man has a groove, I'm into it." "Original Canadian Blues by a superb guitarist and inventive songwriter. One of the best of the contemporary blues artists." "I just heard his set and I can name every song he sang and tell you what it was about. How often does that happen?" 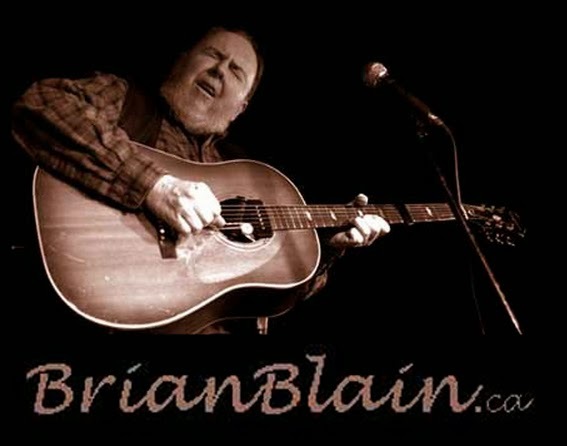 "Brian Blain, born in rural Quebec and active in the music scene for forty years, possesses a “northern” style that gives him a cool edge that just can’t be found in any other artist. His easy blend of folk and blues is a running commentary on life as he sees it. He combines his sardonic wit with his soulful guitar skills and crafts it into a unique musical perspective…Want to know how folk blues is played in Toronto? “Colorblind” Brian Blain, will show you how it’s done. Overqualified for the blues? Maybe so, but this man’s music is real. It is unpretentious and understated, yet intelligent and gently intricate, reflecting the very fabric of life and the very essence of the blues, folk, country and yes, even jazz."